The most sacred shrine of Lord Vishnu, Badrinath is one of the Char Dhams of Uttarakhand state and also the Chardhams of India. 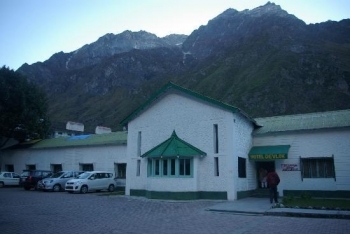 GMVN Badrinath Devlok serves with 20 Deluxe Rooms and 10 Economy Class Rooms. The tourist rest house Badrinath provides comfortable accommodation at affordable price. Badrinath is situated at an elevation of 3,133mts above sea level in Chamoli district of Uttarakhand state. The Badrinath Devlok TRH is situated in the town of Badrinath. 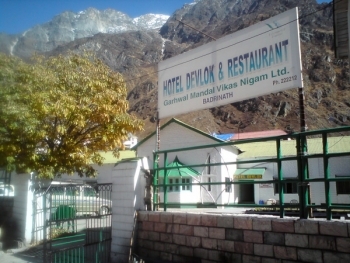 The Devlok Badrinath GMVN offers 10 deluxe rooms and 20 economy rooms. Each room has all basic amenities like attach bathroom, hot water, TV, clean linen etc. GMVN Devlok Badrinath serves variety of cuisines to its guests cooked by experienced chefs.